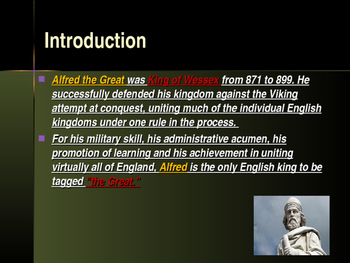 This is a 13 slide, highly animated, power point presentation on The Early Middle Ages - Key Figures - Alfred the Great. Each of the slides are editable so you can modify the slides to the presentation as needed. 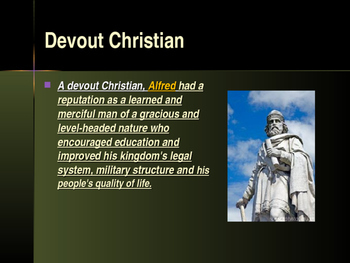 A devout Christian, Alfred had a reputation as a learned and merciful man of a gracious and level-headed nature who encouraged education and improved his kingdom's legal system, military structure and his people's quality of life. 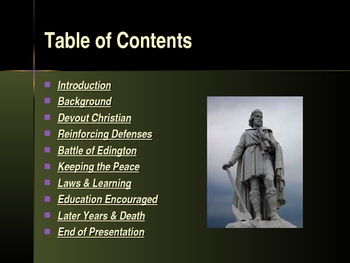 This is one of several "companion" power point presentations that I offer under the heading ... 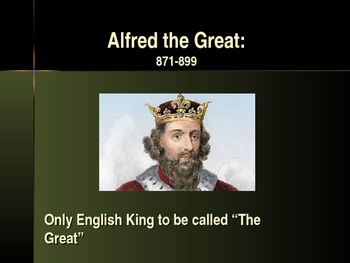 The Early Middle Ages.